Indonesia’s islands span a distance equivalent to one-eighth of the Earth’s circumference. Understandably, one of the main challenges the country still faces is access to adequate, reliable, safe, and affordable power supply that reaches its thousands of far-flung islands. Last month, experts from around the world met in Raja Ampat for a research and implementation project on sustainable energy, clean water supply, and sustainable management of resilient islands. According to the Indonesian Coordinating Ministry for Maritime Affairs, of 17,504 officially listed islands within the territory of the Republic of Indonesia, as of July only 16,056 island names have been verified by the United Nations Group of Experts on Geographical Names (UNGEGN). Indonesia is today heavily reliant on non-renewable energy, however many islands are still off the grid, with citizens living below the poverty line. 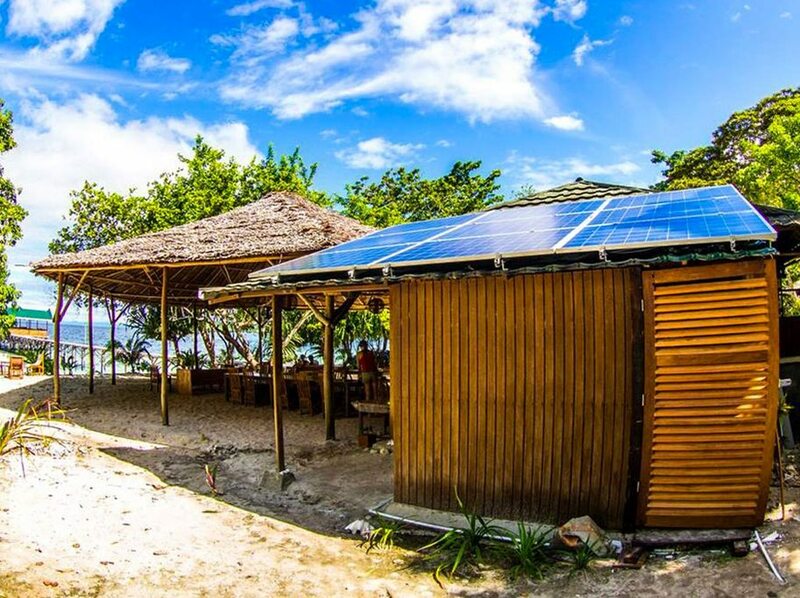 The island of Sumba in East Nusa Tenggara province has set a standard in sustainability with its introduction of solar power and wind-generated energy through the Hivos Sumba Iconic Island Initiative, a project that aims to deliver 100 percent renewable energy to islanders by the year 2020. Many locals today no longer live in darkness in Sumba, which has helped to reduce poverty, improve health and economic development, while at the same time tackling climate change. One of these hard-to-reach areas in Indonesia is the world’s diving mecca Raja Ampat in the West Papua Province. Participants of the ‘Workshop on Sustainable Islands’ ranged from NGOs to government officials, from both Indonesia and abroad. The event was organized by the Dutch University of Twente, together with the Raja Ampat Conservation Centre (RARCC) and Papua Diving, where the workshop was held. Of the nine experts involved in discussions was Herbert Innah, a lecturer of Electrical Engineering at the University of Cendrawasih in Papua’s Jayapura, where he has lectured for 15 years. He was awarded a PhD from Kumamoto University in 2012 for studies in Monitoring of Power System Stability and is a member of a research group at the university that focuses on renewable energy. His current research involves the study of electricity and renewable energy resources and his main concern is the renewable energy penetration and electrification rates in Papua Province. Based on data from PT PLN Papua and West Papua Region 2017, the total renewable energy penetration rate in Papua is only 6.027 percent – 6 percent from hydro/micro-hydro power and 0.027 percent from solar/photovoltaic (PV) power. A whopping 93.973 percent comes from non-renewable energy, made up of 18 percent gas, 2 percent coal, and 74 percent diesel/fuel. Papua province has an incredibly unstable power supply, but according to PLN, power outages and disruptions are improving. In June 2015 there were a total of 4,111 blackouts, and in June 2017 the figure was halved, with 2,269 blackouts. According to PLN, this decrease is due to better maintenance of the system. “Based on our research, however, many people in Papua say the system is still not reliable and they experience blackouts often on a daily basis,” Innah shares in an interview with Indonesia Expat. Innah believes the type of renewable energy that would best suit the outlying and harder to reach islands in Indonesia’s archipelago–for instance those in Raja Ampat–would be the first solar, followed by power from the ocean: tidal, current or waves. According to Innah, since 2016 the government has started to invest more in renewable energy, starting with the Bright Indonesia Programme (Indonesia Terang). This initiative has a goal of installing new renewable energy sources, particularly for remote areas in eastern Indonesia, which has an ambitious target of 97 percent of national ratio electrification by the year 2019. When asked if Sumba’s sustainable island could be implemented on a large scale all across Indonesia, Innah was optimistic. “The government has also issued regulations, including tariffs, about renewable energy for electricity,” he shares. While there does not yet exist useful tidal current energy systems in the region, most participants of the workshop agreed this was a possible alternative. Singapore based technical consultancy firm Orange Delta has been working with Papua Diving and the RARCC in an attempt to implement tidal hydro turbines in Raja Ampat. He started Papua Diving in 1993 to bring much-needed income to the local people, and he has been working on conservation since. In 2009, he established the RARCC, an NGO focused on engaging indigenous communities in the deployment of financially self-reliant projects and small businesses that stimulate conservation. When Ammer first came to Raja Ampat in 1993, there was very little available locally, which resulted in him having to come up with alternative solutions. “Because of this we became more aware of the challenges to operate here, which was an interesting learning process,” he shares with Indonesia Expat. “We learned to be very self-sufficient, which resulted in building the resorts ourselves and teaching local people useful building skills,” Ammer says. “The pressure on the environment has changed from illegal fishing practices to now irresponsible tourism and floating garbage. There are, however, good solutions to drastically reduce these impacts. In the towns better waste collection is necessary. Waterways to the sea need catchment areas. Regulations need adjusting. Better guidelines and laws would make the situation improve,” says Ammer. The RARCC is working together with the Japanese company Murata Manufacturing and the Indonesian Institute of Sciences (LIPI) in an innovative energy management system that combines multiple power sources, inverter units, and energy storage systems. Through this, Ammer has been able to realize approximately 27 Kva solar panel field. Instead of storing the energy in batteries (3/4 of the cost for a solar panel system is normally absorbed in the batteries), they use the energy to store compressed air in air banks, which works well for them since the air is required for scuba diving. Storing energy is an even more challenging issue on remote islands compared to the generation of energy itself. Hans van Mameren of Energy Renewed Pte Ltd shared new solutions for sustainable islands, including “modular panel storage tanks that are easy to transport and to install.” He also discussed the use of hot thermal oil for the heating of water used in kitchen and showers.